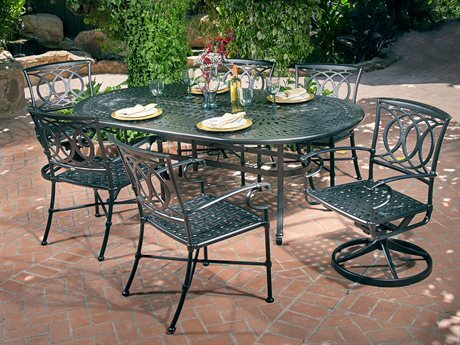 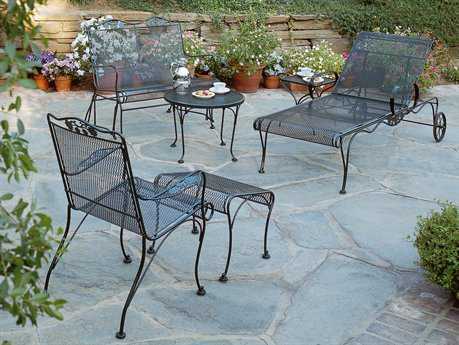 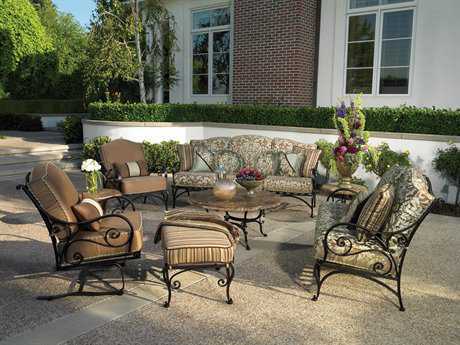 When decorating an outdoor space, selecting a patio set is the ideal place to start. 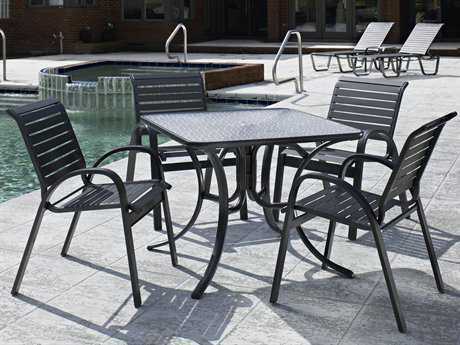 They bring an element of decorative functionality to any exterior setting, transforming both commercial and residential spaces into outdoor oases with pleasing cohesive aesthetics. 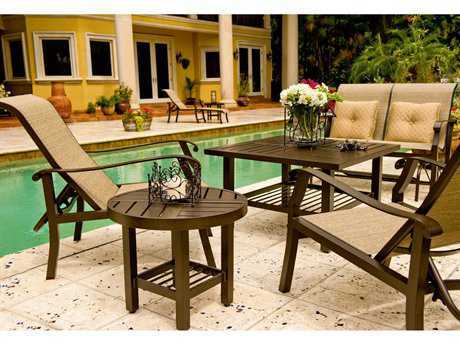 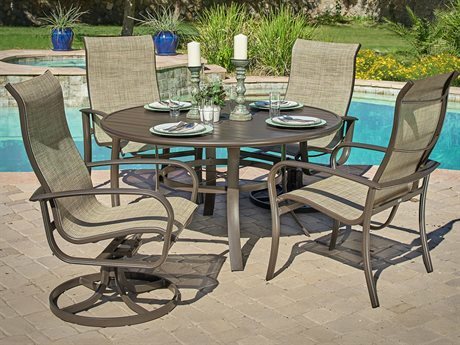 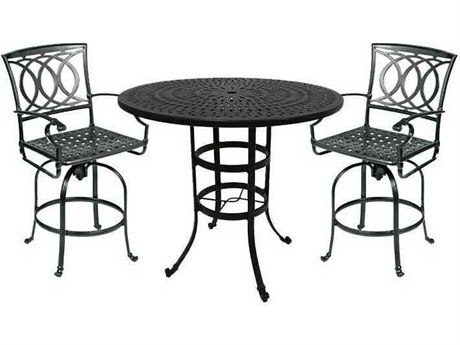 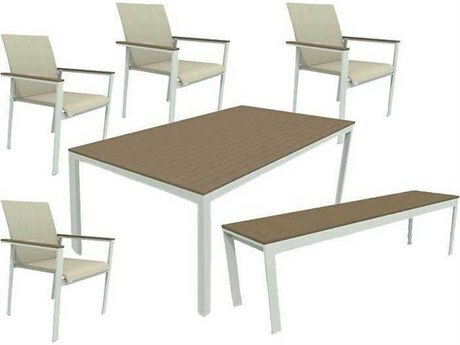 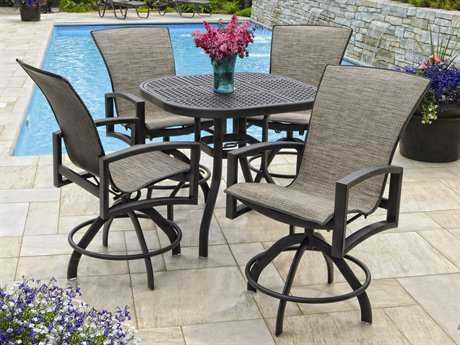 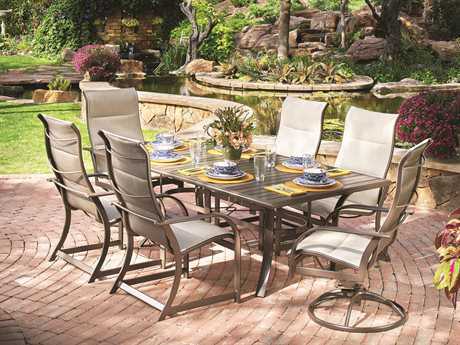 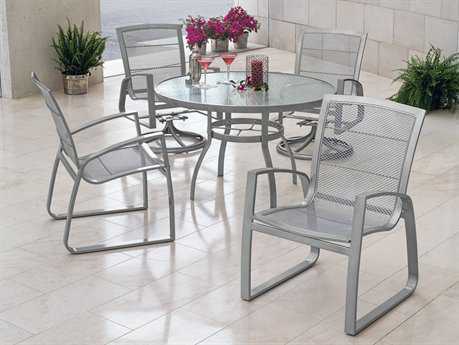 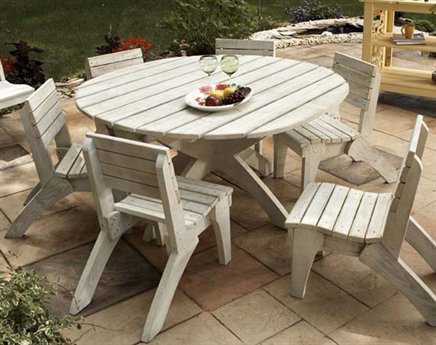 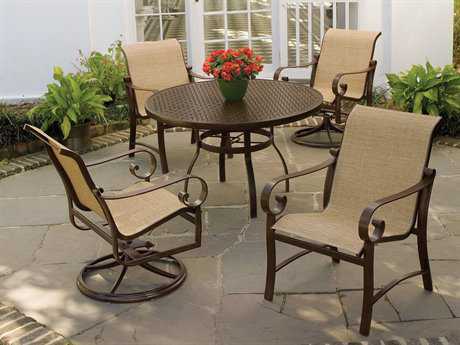 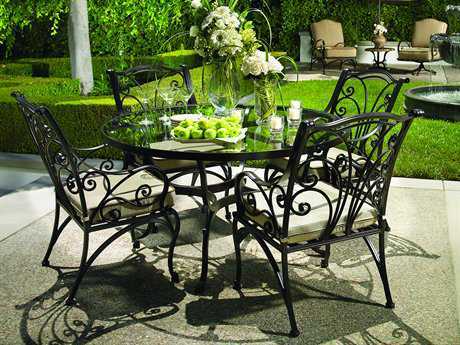 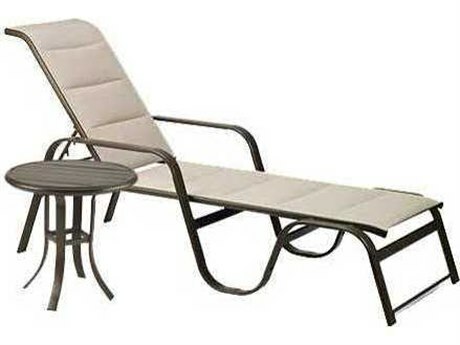 PatioLiving’s diverse selection of patio sets can be grouped into two principal categories: lounge sets and dining sets. 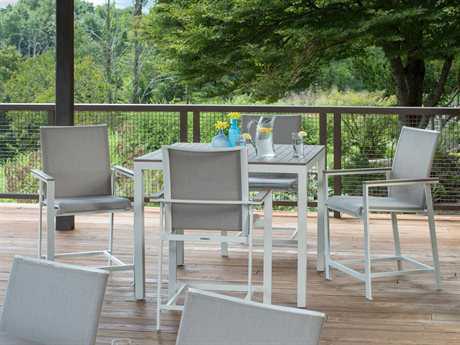 Within these categories, options can be found in a wide variety of styles, materials, colors, and frame finishes to suit your individual taste and needs. 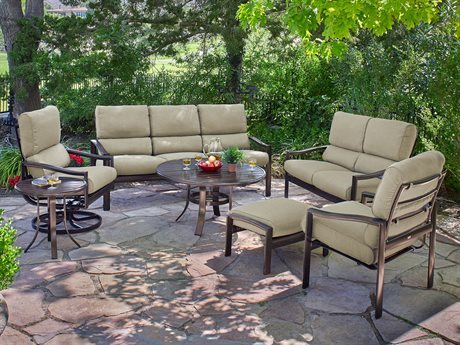 Visit our online shop where we group sets by their general categories and construction materials, making shopping for the perfect furnishings a breeze. 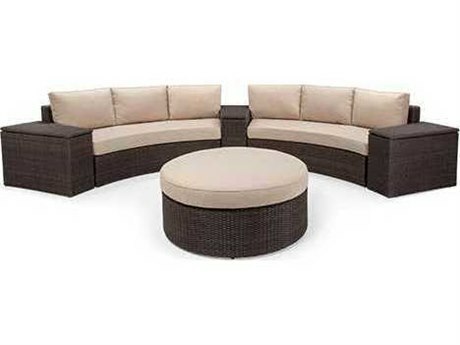 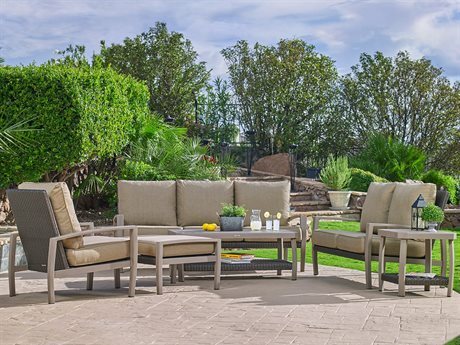 Our extensive selection of complete patio sets includes styles that range from traditional to casual to contemporary, with different options suited to varying levels of comfort and style of entertaining. 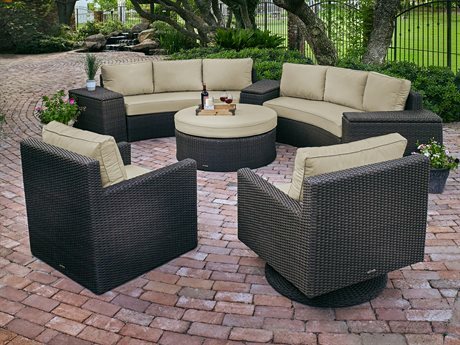 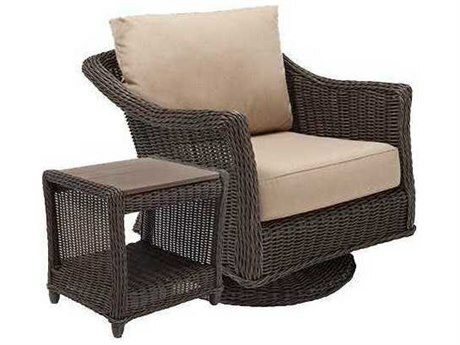 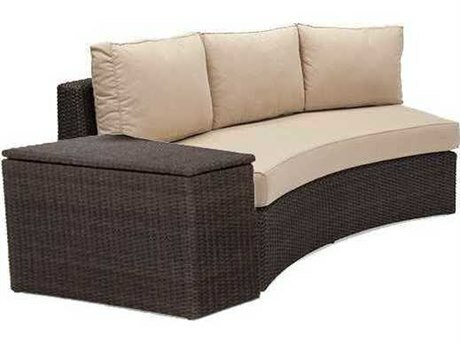 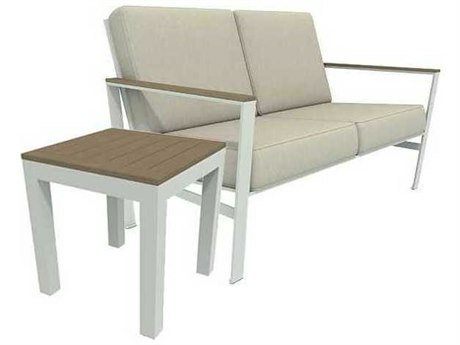 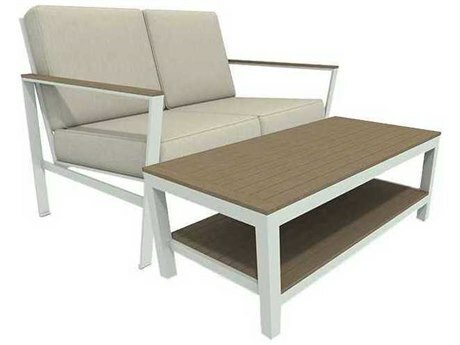 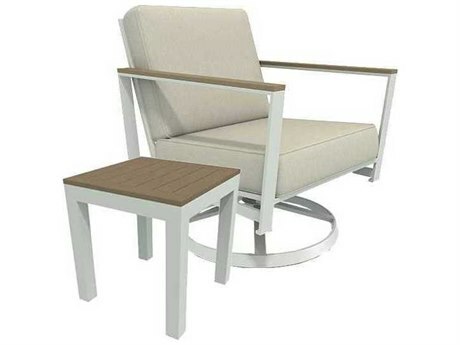 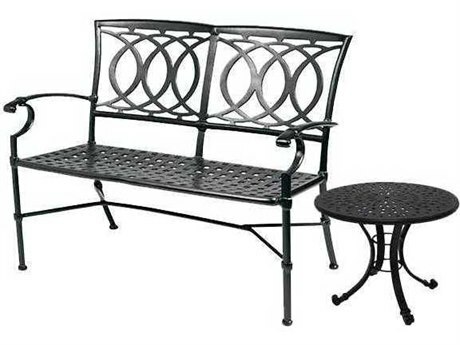 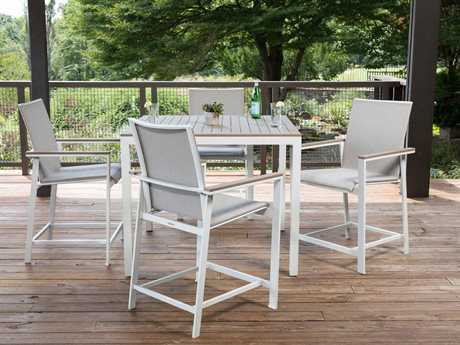 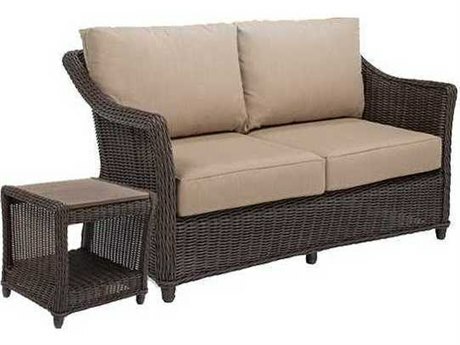 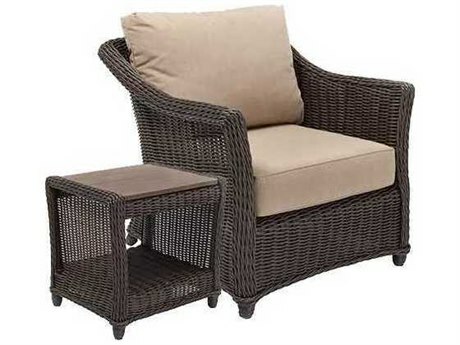 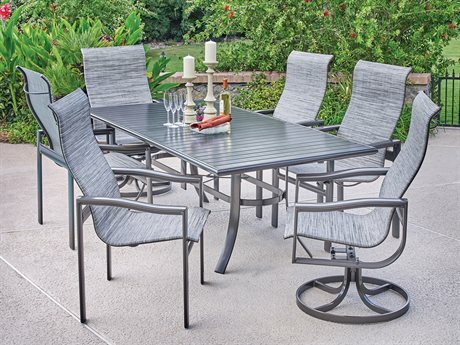 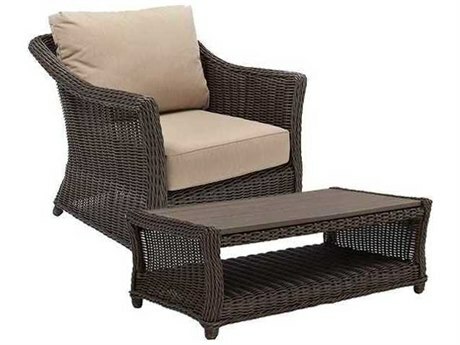 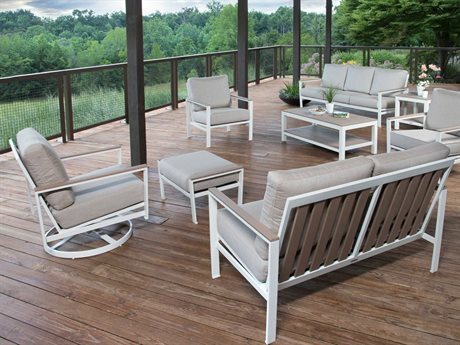 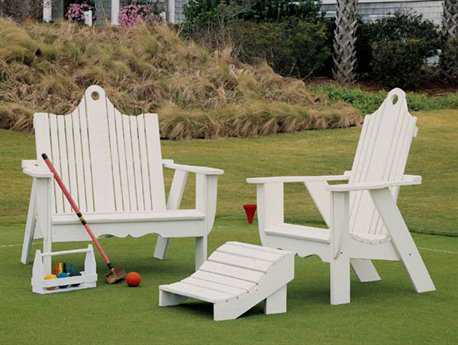 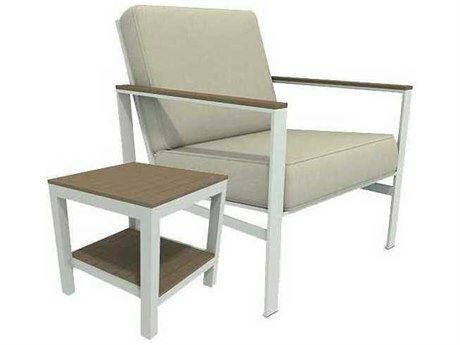 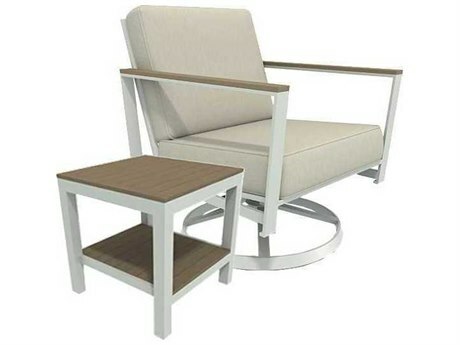 Each set boasts distinctive design elements, such as slatted paneling, curved metal arm rests, and intricate frame designs, which help anchor the tone of your outdoor space and add decorative value. 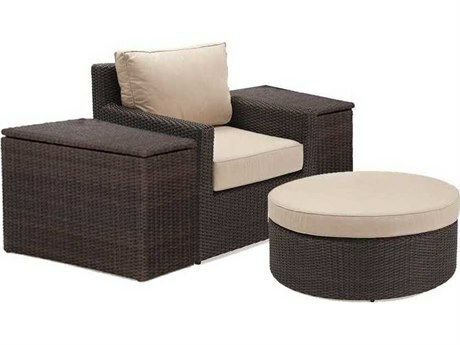 Lounge set styles include deep cushions, suited for optimum relaxation, sling sets for upright comfort. 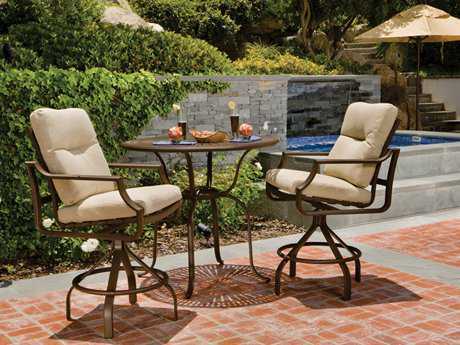 Dining sets are available with seating options ranging from two chairs to six or more, both round and square designs, and table heights include traditional, bar, and counter level. 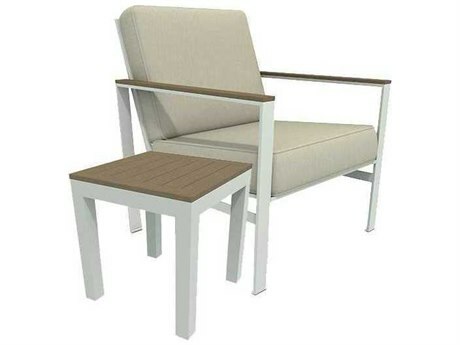 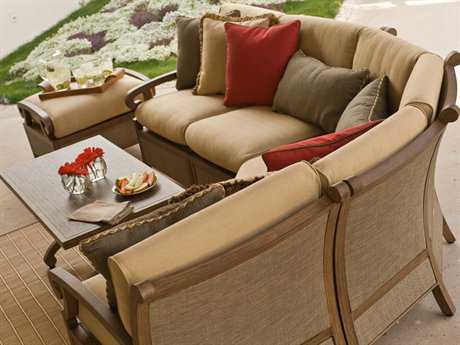 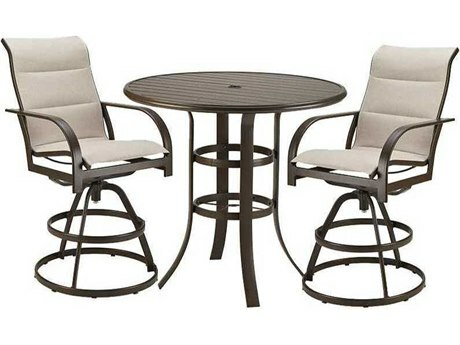 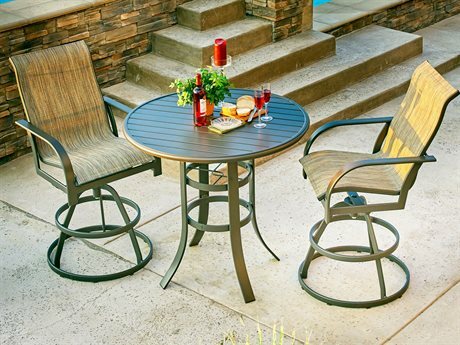 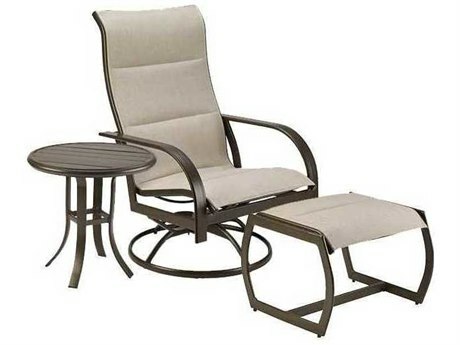 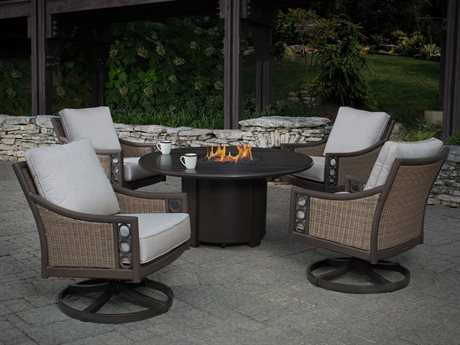 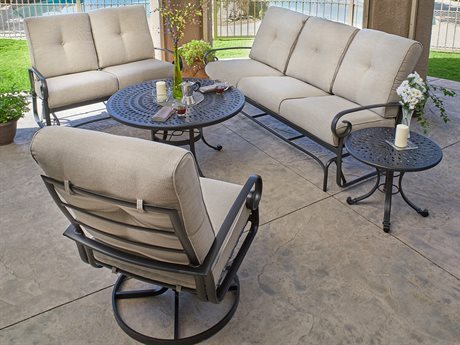 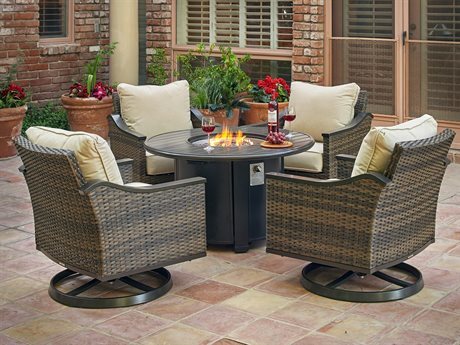 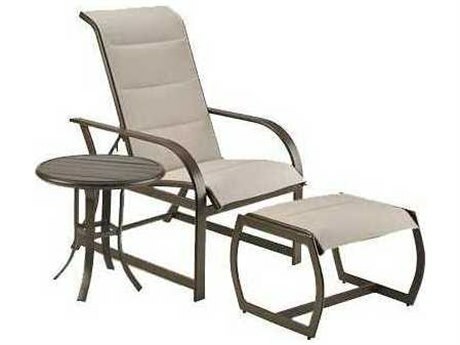 When selecting a patio set for your outdoor space, you’ll want to strike a balance between functionality and comfort. 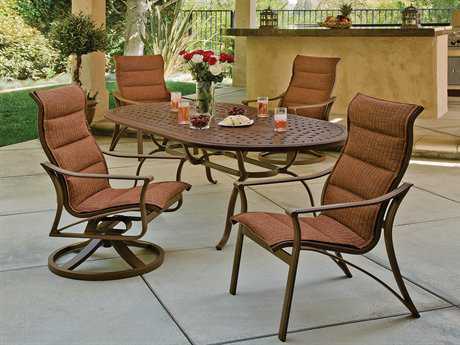 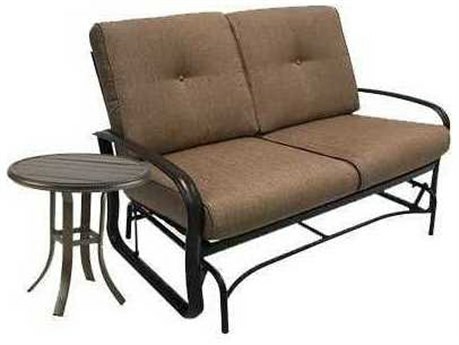 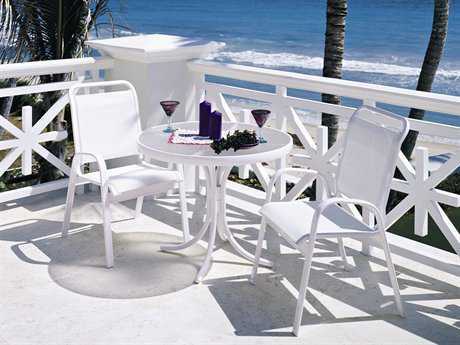 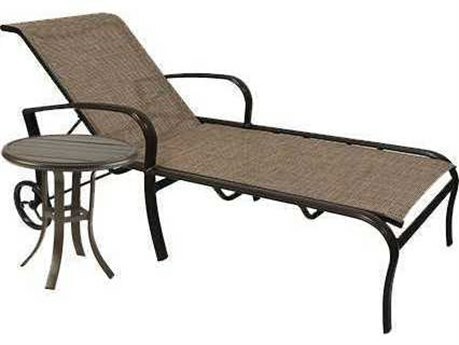 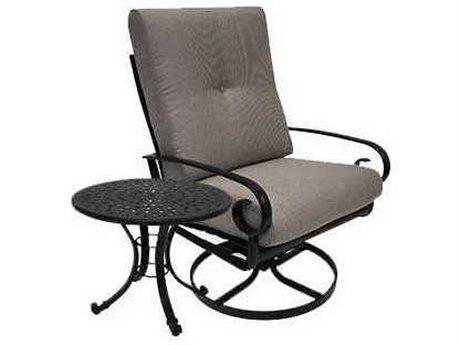 The material construction of your complete patio set largely determines how it will function for you and your family. 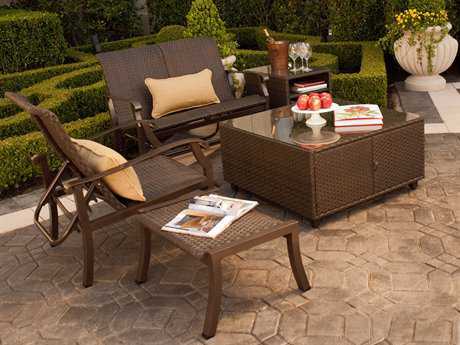 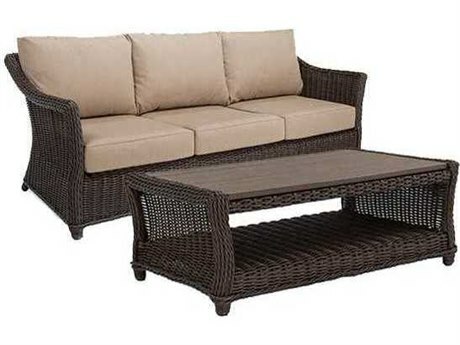 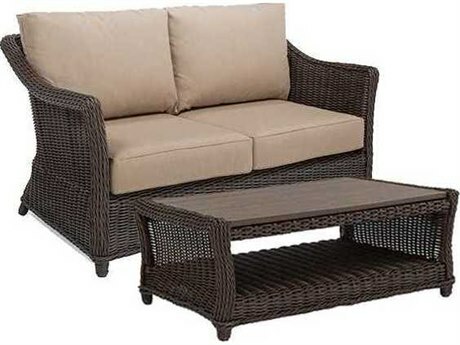 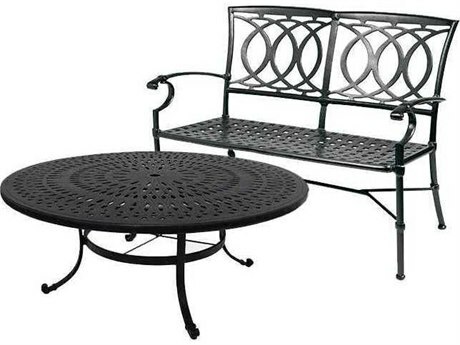 Sets are offered in materials including wicker, cast aluminum, conventional aluminum, wrought iron, steel, teak, recycled plastic, resin, and wood, including, teak, oak, and pine. 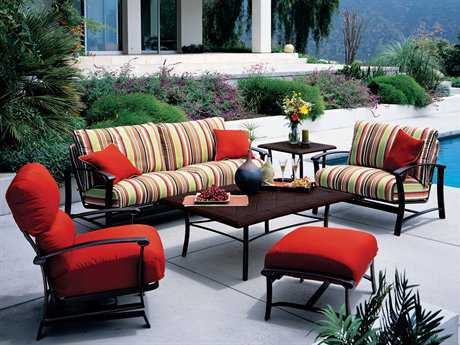 All of these materials have their advantages and drawbacks, depending upon where you live, your decorating needs, and what kind of entertaining you do. 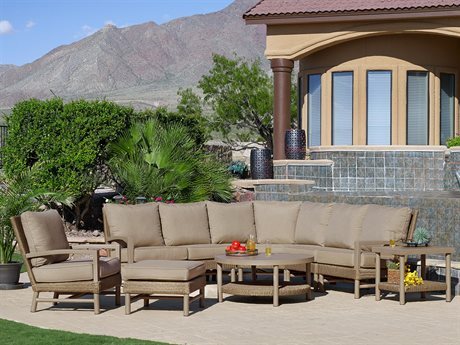 Selecting furniture for your outdoor space brings numerous benefits to your home living. 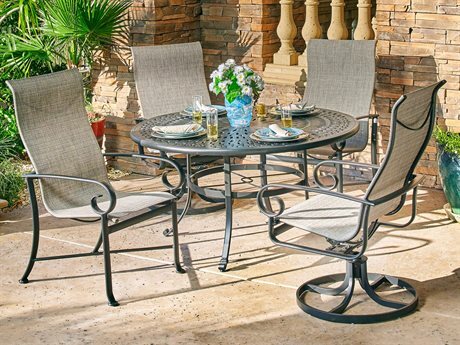 A patio set is the foundation of your outdoor decorating. 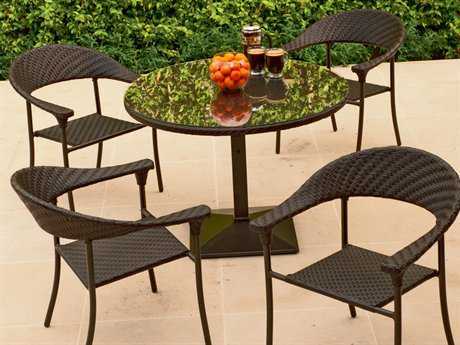 Chair, chaises, dining tables, and side tables can be accessorized with umbrellas, outdoor pillows, and planters to personalize and complete any exterior decor. 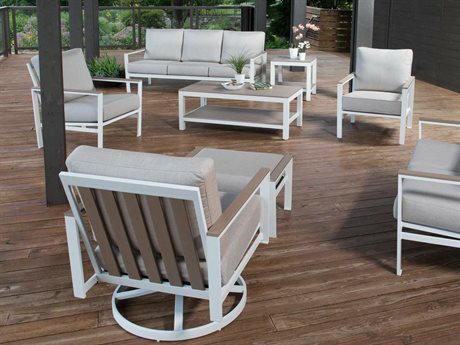 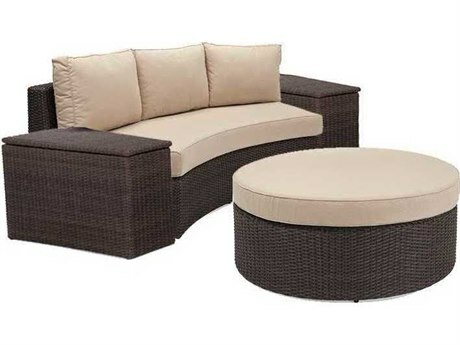 No matter your entertaining style or space, PatioLiving carries sets sure to anchor and define any outdoor setting, making your outdoor living more enjoyable. 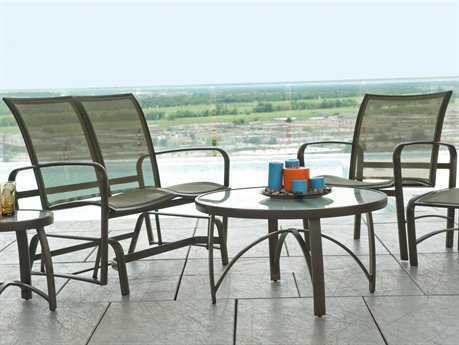 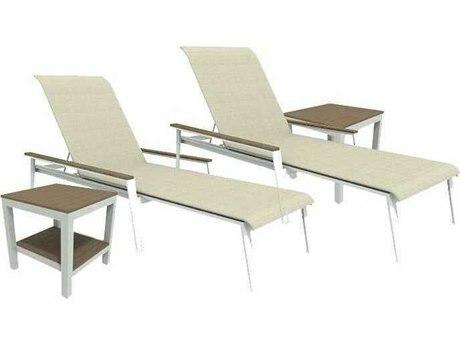 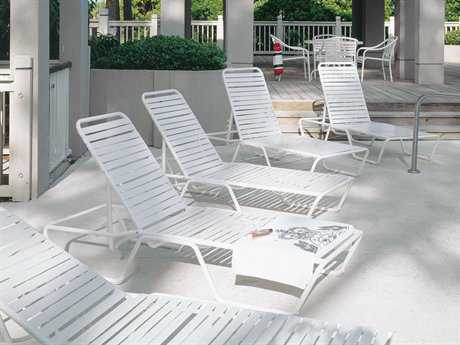 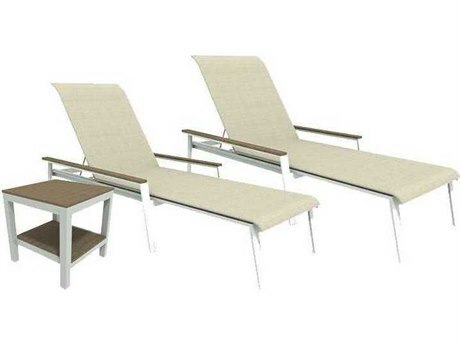 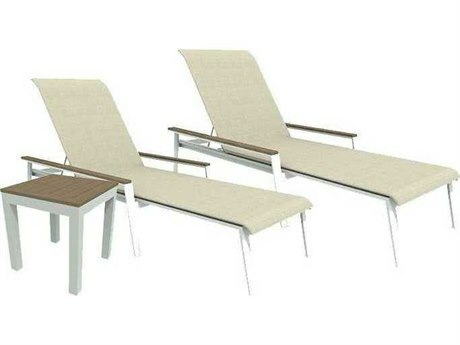 Enjoy a better outdoors with a complete patio set from PatioLiving.